1916 Ladies Home Journal O-Cedar Furniture Polish Color Magazine Advertisement. Channell Chemical Co., Chicago. Ad is 16" high and 10" wide. Advertisement is in very good condition, suitable for framing. 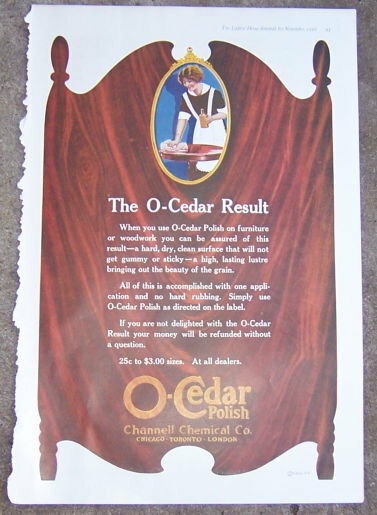 Items Similar To "O-Cedar Furniture Polish 1916 Color Advertisement"
Lane Cedar Hope Chest 1948 Ad.